Is that a new specimen in our Hall of Gems & Minerals? Of Quartz it is. Fun Fact: This sphere weighs 65 lbs! Gaze deeply into the depths of the newest object in our Hall of Gems & Minerals and your mind’s eye will feel like it’s traveling along the path of comets as they journey through space. But what you are really looking at are actually naturally occurring rutile inclusions in quartz. To explain that, let’s go back to the beginning when this quartz specimen was formed. Quartz is one of the most abundant minerals found on Earth, and is made up of one part silicon and two parts oxygen or SiO2. 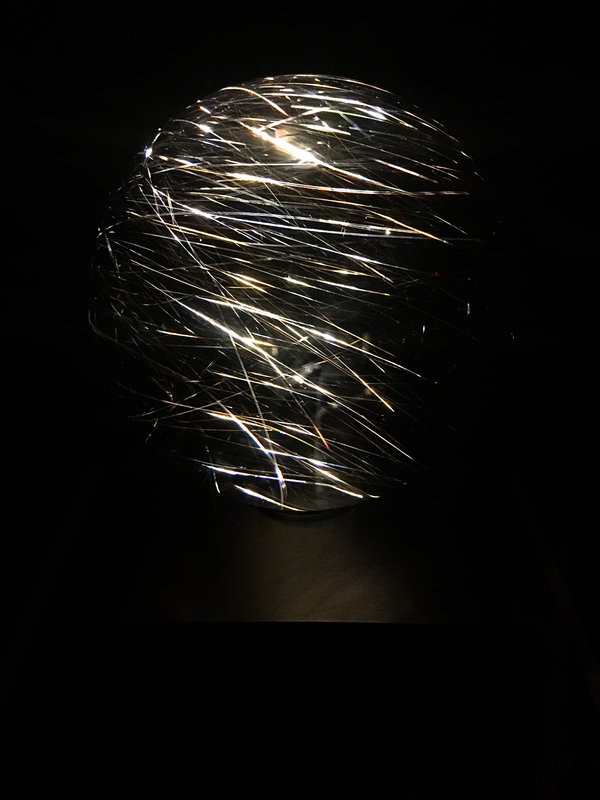 Sometimes, other elements are around when quartz is forming, as in the case of our beautiful new quartz sphere. In this situation, titanium was present and bonded with oxygen to form the mineral rutile within the quartz crystal itself. 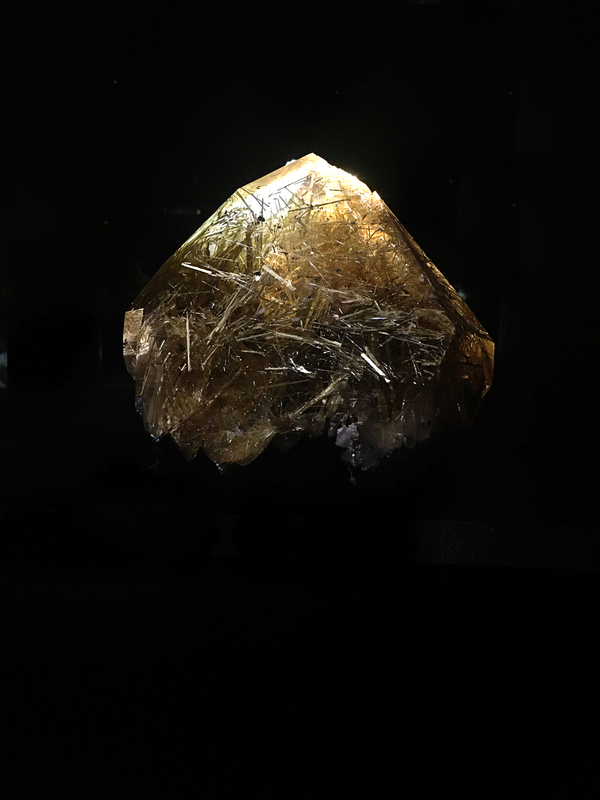 Rutile crystals like these are most commonly formed in a prism or needle-like shapes which is clearly present in our sphere and also in rutilated quartz’s raw form as pictured below. Both of these examples of rutilated quartz are on display now in our Hall of Gems & Minerals. Take a moment to look for these two specimens on your next visit to HMNS and let us know what you think of them in the comments! Wait Just A Minute! Let’s Take A Second To Talk About the Origin Of Time Keeping. Revealing The Science Behind Baking With A Geode Cake Experiment!